* Every serious trader is a leader, running a trading business. Would you want to work for the business you're creating? 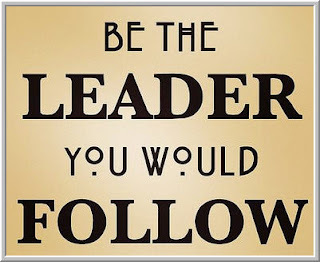 Would you follow yourself as a leader? Would you allocate your hard-earned money to someone who manages their trading the way you do? Inspiration follows from aspiration: We are most energized when we live up to our highest ideals. * Great weekly perspective from Jeff Miller; excellent focus on what's really important for markets. A useful way to read Jeff is to make it a point to visit the sites he links to in his posts. Enhancing your information set is essential to enhancing your ability to recognize opportunities and turn those into successful trades and investments. * Here's a useful post from Adam Grimes on how to calculate volatility in Excel. Every weekend I work on a new research project. This weekend I took a hard look at the volatility of buying and selling activity in the stock market by tracking the volatility of upticks and downticks. There was a distinct tendency for returns in SPY to be superior when buying and selling volatility have been high; returns to be subnormal when buying and selling volatility have been low. More to come on this topic. Recently, we've had relatively high volatility readings for buying and selling, helping fuel the current rally. * Another excellent site for perspective is Abnormal Returns. The most recent links include valuable views on the recent decline in bonds. AR is a very useful way to discover sites that enrich your thinking about markets. * A feature I like on Stock Twits summarizes the message volume and sentiment for stocks and ETFs. Small caps have been on fire since the election, and message volume for IWM has been high. Interestingly, though, 45% of participants have been bullish on IWM and 55% bearish. We're hovering near highs for the broad indexes, but I'm not seeing frothy sentiment so far. My "pure sentiment" measure, which takes recent price change and volatility out of the equity put/call ratio, has been surprisingly bearish during this rally. Have a great week trading!